Security systems nowadays are taking advantage of the latest technology in order to defend homes in more sophisticated ways than ever before. 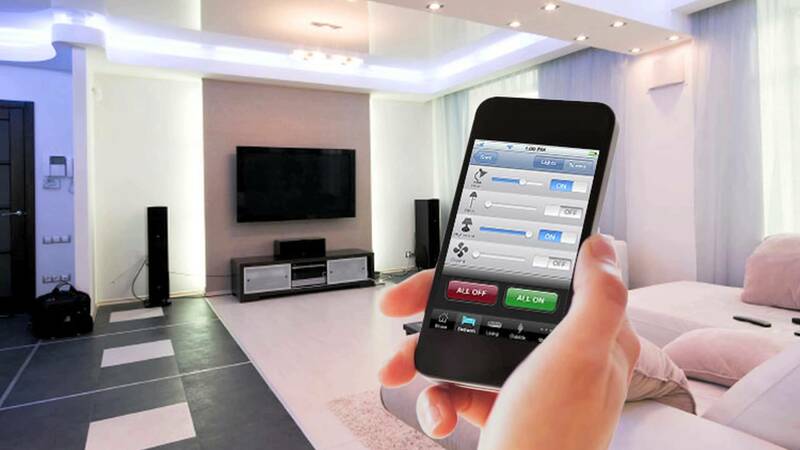 Recent advancements in home automation has helped to take home security to the next level. You can now control many appliances, electronics and fixtures with software on portable computers or phones, and modern homeowners have also gained the ability to monitor security equipment from any internet connected or cellular reception area they have access to. If you already own an alarm system, you can still boost its capabilities by signing up with a company that provides home automation services. Their technicians will install equipment into your home which allows you to automate and remotely control almost any device. The whole system will be integrated with your current security system so that you can communicate with the control panel through a smartphone app or mobile website. After all the equipment has been connected, your security system can notify you by phone if a break-in occurs. You will also be able to activate or deactivate the system with your tablet or smartphone. It will give you full control of electronic locks, which can confirm if you have locked the front door or not, should you have a moment of forgetfulness. Best of all, you can watch live video streams from your home's surveillance camera. If you get a notification of any doors opening at home, you can use the video stream to be your eyes on the scene. A home security automation system consists of a computer or other control unit which communicates with "intelligent" appliances, such as security alarms, and other "smart" appliances like washing machines, fridges, TV's etc. It can control lights and less-sophisticated devices by deciding when they turn on and off, and can also be set with auto timers. In addition to following these programmed schedules, modern systems use the internet to communicate and receive commands with smartphones. This combination of security and home automation can really offer you greater peace of mind by allowing you to check on your home at any hour. This is even true for when you're on a trip halfway across the world. Home automation technology has the potential to minimize false alarms too. For example, you might receive an alert and turn off the siren after using a surveillance camera to see that it was accidentally triggered by a family member. You could even remotely unlock the front door for a trusted electrician or repairman. Long before anyone had smartphones, home automation systems were used to switch things on and off at specified times. This is still used today, and it can provide an effective way to deter burglars. A thief is less likely to target a home with lights that stay on during the evening and shut off overnight. Today, it's even feasible to install automated, motorized shades on windows. The bottom line is that you can make your security equipment more effective and versatile by integrating it with a home automation system. At the same time, you'll have access to all the benefits of automated household appliances and fixtures. Automation enhances comfortability, it's convenient, it saves time, and it offers you total peace of mind.